NEW INC’s program is dedicated to growing creative practitioners into creative entrepreneurs. Through varied learning models and a human centered curriculum, we invite multidisciplinary creatives to develop the skills, tools and tactics they need to sustain their work. Our program incubates people by supporting projects at a point of growth or change, and by imparting practical knowledge and innovative thinking that critiques the extremes of traditional art institutions and start-up culture. NEW INC runs annually from September-August. Our professional development program builds proficiency in business fundamentals and cultivates leadership confidence. Our curriculum takes the form of multi-day intensives, workshops, panel discussions, coaching sessions, clinics and peer review huddles. Programs are taught by industry leaders, artists, activists and scholars who lead open conversations about the changing nature of culture, technology, and business. Exposure to experts, funders and leaders in art, design and technology helps our members shape their practices and safely experiment with new approaches. Through the program, members are free to explore, catalyze new ideas, and scale their practices while contributing to the NEW INC ecosystem. Selected members also have the opportunity to present at NEW INC’s Demo Day, a half-day showcase that puts members in front of a large audience of funders, creative directors, curators and industry leaders. Demo Day presenters participate in a rigorous program to craft a clear, unforgettable pitch. Our mentorship program allows NEW INC members to work side by side with seasoned practitioners and thought leaders. Mentorship sessions occur in one-on-one consultations led by our outstanding mentor community. Members receive individualized feedback on specific questions and challenges while unpacking future opportunities and pathways. Over time, mentors act as powerful sounding boards for creative practitioners to challenge their assumptions and experience the reward of a seasoned leader who witnesses their growth. See our current list of mentors. Nokia Bell Labs, Nokia’s research and innovation arm, creates the disruptive technologies that are shaping the way the world communicates and connects. NEW INC has partnered with Nokia Bell Labs to run the Experiments in Art and Technology (E.A.T.) Residency Program, and will also provide lead support to our Year 6 Experiments in Art and Technology membership track. With multi-year support from the John S. and James L. Knight Foundation, members participating in the Museum Technology Track at NEW INC explore and develop transformative new technology applications for museums. Science Sandbox is an initiative of the Simons Foundation dedicated to inspiring a deeper interest in science, especially among those who don’t think of themselves as science enthusiasts. Science Sandbox is a lead supporter of our Year 6 Creative Experiments Track. Columbia University’s GSAPP Incubator is a launch pad for new ideas and projects about architecture, culture, and the city. The Incubator hosts and encourages a wide range of experiments initiated by recent Columbia GSAPP graduates. the GSAPP Incubator is a founding NEW INC anchor tenant. Rhizome champions born-digital art and culture through commissions, exhibitions, digital preservation, and software development. Founded by artist Mark Tribe as a listserve including some of the first artists to work online, Rhizome has played an integral role in the history of contemporary art engaged with digital technologies and the internet. Rhizome is a NEW INC anchor tenant and a partner on the Year 6 Experiments in Art and Technology Track. IdeasCity is a collaborative, civic, and creative platform of the New Museum in New York that starts from the premise that art and culture are essential to the future vitality of cities. 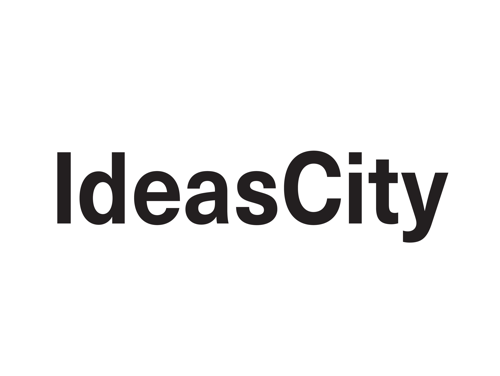 IdeasCity is based at NEW INC, and a partner on the Year 6 Ideas for the City Track.